China’s coal consumption and carbon dioxide emissions may have gone down in both 2014 and 2015 – or maybe not. Uncertainties in China’s energy statistics are often higher than the total energy consumption of many countries. Can we trust the data? China has by far the highest CO2 emissions in the world, with more than one quarter of global emissions. Most of it comes from coal. China both produces and burns more coal than the rest of the world combined. This much we know, despite any uncertainties. But there is less agreement on exactly how much coal China actually consumes, and how much CO2 they emit. China publishes extensive statistics on its energy use, but the numbers often contradict themselves and are frequently revised. This issue has taken on greater significance this year: China’s industrial growth has slowed and coal consumption is reported to have fallen, prompting claims that CO2 emissions might also be going down. But are these claims accurate? In late February this year, China’s National Bureau of Statistics (NBS) released a collection of preliminary economic indicators for 2015. These show that coal consumption went down by 3.7%, from around 4 billion metric tonnes. Much has been blogged and tweeted about this. Some analysts – ourselves included – used the numbers to estimate that China’s total CO2 emissions went down. However, what happened after similar numbers for 2014 were published last year is a good illustration of why Chinese statistics demand caution and careful interpretation. Preliminary statistics published in February 2015 stated that coal consumption had dropped by 2.9% in 2014, the first decrease since China started its meteoric growth in the early 2000s. Many Western observers hailed this as historic. 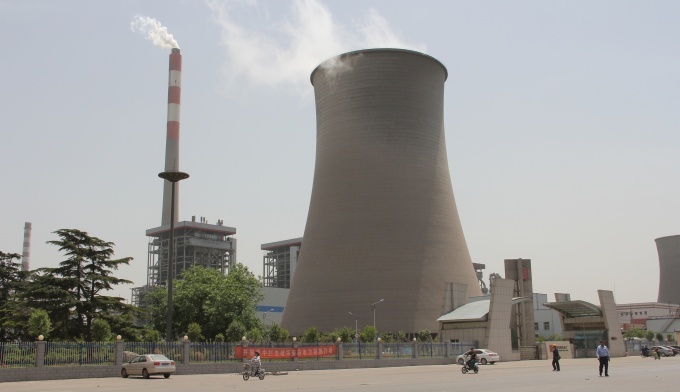 The International Energy Agency (IEA) estimated that China’s total energy-related CO2 emissions had gone down by 1.5%, while global emissions had stood still, for the first time outside of a global recession. However, further rounds of increasingly detailed statistics were released. First, coal consumption was reported to have increased minutely, by 0.06%, when taking into account how much energy the coal contained. Even though China had burnt fewer tonnes of coal than in 2013, the coal apparently contained more energy per tonne. CO2 emissions from coal depend mainly on the energy content, not the weight of the coal, so this matters a great deal. After two more revisions, the latest numbers state that coal consumption went down 0.7% measured by energy content. Based on the latest numbers not only for coal, but also for oil and natural gas consumption, we can estimate that total CO2 emissions from fossil fuels in 2014 increased by 0.5%. The statistics also contained a small bombshell: The coal consumption data for every year since 2000 had been revised upwards, by up to several hundred million tonnes. For 2013 the revision was almost 600 million tonnes (16%), more than half the total coal consumption of the EU, and more than the consumption of any country in the world except the US and India. This corresponds to almost a billion tonnes of CO2 emissions, or about 3% of the global total. To stretch the comparison: If the revisions were themselves a country, they would be the 6th largest emitter on the planet, ranking between Japan and Germany. In the course of one year, then, the figures for Chinese coal consumption and CO2 emissions for 2014 respectively switched from down/down, through flat/up, to down/up. At the same time, we learnt that they were in any case far higher than we had thought they were for 2013. Chinese energy statistics, in particular coal-related statistics, had raised vexing questions long before the 2014 conundrum. For example, if you add up the coal consumption reported by each of China’s 31 provinces and province-level divisions, you routinely get a far higher total than what is in the national statistics. In 2012 the gap originally amounted to 800 million tonnes, enough to cover an area the size of Manhattan in a 15 metre layer of coal. There is also regularly a gap of a few hundred million tonnes between the reported total amount of coal imported and exported between provinces – a logical impossibility unless vast quantities of coal appear out of thin air at the provincial borders. Double counting by companies with a presence in more than one province contributes to this gap between national and provincial statistics. More generally, many discrepancies in the statistics are most likely caused by systematic biases in the data collection, as I will discuss below. However, some foreign observers are unconvinced that this is enough to explain the inconsistencies, and conspiracy theories flourish. A popular hypothesis is that provincial leaders pressure their local statistical bureaus to inflate industrial production numbers and coal consumption figures, since economic growth in their province is a key metric in their performance evaluations and important for their political careers. There is, however, scant evidence for this. On the contrary: the gap almost magically decreased considerably in the large revision of energy statistics last year, and the revised national figures are closer to the provincial ones than to the original national figures. Unfortunately, nobody on the “outside” knows exactly how the revisions were calculated. Why do the numbers change? So where do the NBS’s numbers come from, and why do they change so much even a decade after initial release? For a nominally developing country, China in fact has a very well developed statistical system. All large companies and other entities with a revenue of a few tens of million yuan or more as well as some key enterprises and state-owned companies must report economic activity and energy consumption regularly throughout the year. Based on this, NBS and industry organisations publish monthly and quarterly statistics of industrial production, electricity generation, and several other indicators. Other entities, however, are only probed through less frequent random sampling. The NBS must infer what is happening there through these samples and by extrapolating the figures reported by larger entities. Based on the continual reporting from large entities the NBS can release preliminary estimates of GDP, total energy consumption and a range of other indicators for the previous year already in February. The figures are published in an annual report with the catchy title “Statistical communiqué of the People’s Republic of China on the national economic and social development”. The 2.9% reduction in coal consumption for 2014 and the 3.7% reduction for 2015 were reported in these statistical communiqués. The text of the communiqué can be best described as “tables in prose form”. The text changes little from year to year, while the numbers are updated. Foreign observers must assess for themselves whether any particular number is sensational or run-of-the-mill, and they do not always make the right call. The data for the previous year are processed further and completed as the year progresses. The “China Statistical Abstract” in May gives a glimpse of preliminary progress. At the end of the year or the beginning of the next year, we get data that could be called “final, for now”, in the China Statistical Yearbook and China Energy Statistical Yearbook. The fact that most of the raw data comes from large companies is an obvious problem; there is no reason to believe that they are representative of the energy consumption profile of smaller companies. To make matters worse, the data are reported to a mixture of the NBS and local authorities, which may employ differing standards and reporting formats. The NBS must then try to compile and reconcile everything at the end of the year, in a process that is not transparent to outsiders. It should therefore come as no surprise that there are biases and inconsistencies in the numbers. Fortunately – but all the more confusingly – there is a process to reduce the errors at regular intervals. Every five years China conducts a “National Economic Census”, where in principle all companies and other legal entities report relatively detailed data on economic activity and energy consumption for the previous year, in a standardised format. Based on this– at least in principle – complete and consistent data set for one year, the NBS also revises earlier statistics, often as much as 10-15 years back in time. Little is publicly known about the calculations behind these revisions. There have been three national economic censuses so far, in 2005, 2009 and 2014. The last one led to the gargantuan upwards revision of historical coal use last year. Such sudden changes in fundamental statistics create confusion. However, the revisions presumably ensure that the statistics become more accurate over time. For example, most inconsistencies in the coal consumption statistics became much smaller after the last revision, although we do not know for certain whether the cause was truly better data or rather a targeted tweaking of the methodology to make the numbers match better. What can we conclude, then, about China’s CO2 emissions in 2014 and 2015? Based on current numbers and how much we know they have changed in the past, we can say that emissions most likely went up, 0.5% in 2014, and perhaps down 0.1% in 2015. Given the margin of error, we cannot say anything conclusive for 2015 yet. Recent headlines that China’s CO2 emissions went down last year must therefore be taken with a grain of salt, while similar headlines about 2014 a year ago were most likely wrong. But nothing is written in stone when it comes to China. So take a deep breath, and prepare to hold it for a long time: The next economic census will stir up the numbers again sometime after 2019.